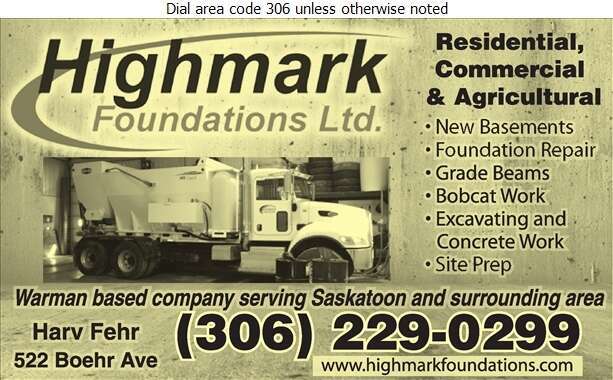 Highmark Foundations Ltd. is a professional concrete contractor that specializes in new foundations, basement repair, bobcat work and concrete & excavation work. 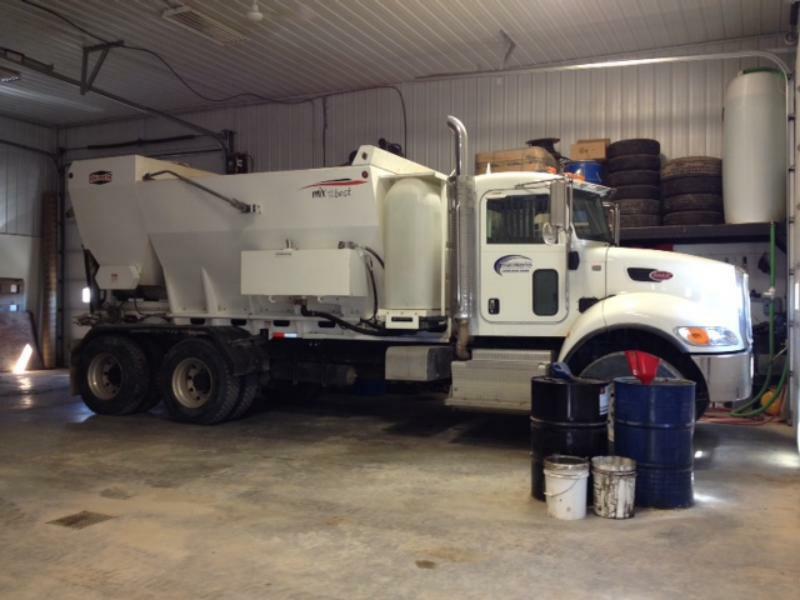 Based out of Warman, we service the city of Saskatoon and surrounding areas in the residential, commercial and agricultural sectors. At Highmark we understand the importance of customer satisfaction so we are committed to providing quality service and workmanship in each and every one of our projects. Our qualified professionals take pride in their work and complete each project in a timely and efficient manner. Click on our website to see more information and pictures of our work.